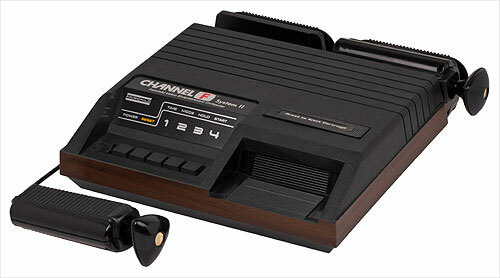 The RCA Studio II is one of the earliest games console to be made more accessible via a simple adaptation. In this case it was the use of a simple 'head-wand' that enabled the player to press down on the keypad by moving their head alone. As well as being a good start for accessible gaming historically, this is also a good place to start for those brand new to emulation. Just don't expect too much from this machine as you will find things have come a long way since 1977. N.B.Installing and using the RCA Studio II emulator games console is quite straight forward if you are using an older PC, and providing that you keep a handy note of the controls. However, some modern "64-bit" PC's will not be able to run this emulator, which is a bit rubbish. If you do get this emulator working, bear in mind that this machine has a number of in-built games available from the off. Download the RCA Studio II Emulator then Unzip the file. Double-click on the RCA red icon to start the emulator. Upon starting you should see a blank window headed "WinStem". From here you may like to resize the window via clicking on "Display". Next take a note of the keys below. Player1 controls, as mapped to your PC's keyboard, are on the left-side, with Player2 controls (the numeric keypad) on the right-side. F1 resets the console. Press "1" to begin. A white dot appears. Move it by pressing 1,2,3,4,6,7,8,9 on the numeric keypad. Press numeric-keypad "5" to enter draw mode and "0" to enter erase mode. Press "2" to begin. Form a simple design as for "Doodle". Press "0" on the numeric keypad to make the pattern repeat continuously - then press "5" to pause and "0" to restart. Press "3" to begin. Players take it in turns. Player 1 uses "2" to hook up, "W" for straight and "S" for hook down. 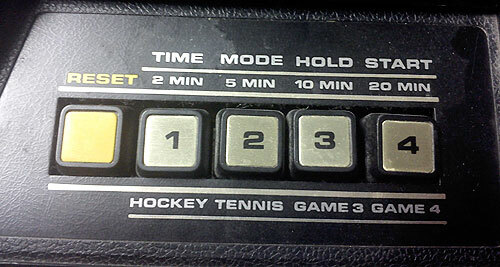 Player 2 uses numeric keypad "8" to hook up, "5" for straight and "2" for hook down. Plays up to 10 frames. More on Bowling here. Press "Q" to start. Press "0" on the numeric keypad to start your engine. Control car via the numeric keypad using "4" and "6" to steer and "8" and "2" for accellerate or brake. Score given after 2 minutes. For a "hard" game, start by pressing "X". Press "W" start. Add up the digits in the middle and press the appropriate key. The quicker you are the more points you get. Game lasts for 20 numbers. Tricky under emulation. Take a short step over to the Games Showcase for the RCA Studio II for more games and some basic tips for making things a little more accessible. Includes possibly the first ever home one-switch game. Much of the information on this page came from the RCA Studio II Emulator web-site set-up by Paul Robson.